Montgomery College Television Montgomery College Television	 From June 16, 2009, This seminar held at the Rockville Campus of Montgomery College and hosted by the Maryland Governor's Grants Office discusses ARRA fund availability, the application process and grant management. 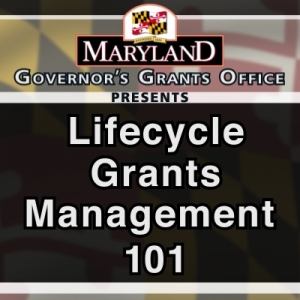 This session discusses basic grants management and reporting requirements specific to ARRA funding. Embed "Session 5" on your page. This session features information about how to access available ARRA funding from various state agencies including the Department of Business and Economic Development; Governor's Office of Crime Control and Prevention; Maryland Energy Administration; Department of Housing and Community Development; Volunteer Maryland; and the Department of Labor, Licensing and Regulation. Embed "Session 4" on your page. This session discusses the application process and offers tips for successful ARRA funding applications. Embed "Session 3" on your page. Embed "Session 1" on your page. This session discusses the role of community foundations and how they strengthen communities through wealth sharing, program focus and partnerships. The presenter is Beverley Francis, President & CEO of the Columbia Foundation. Embed "Session 2" on your page.